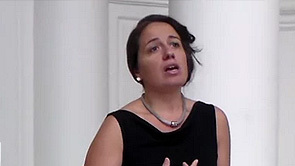 Francesca Placanica, Classical Singer, has a wide background as a soloist in diverse vocal and instrumental ensembles. 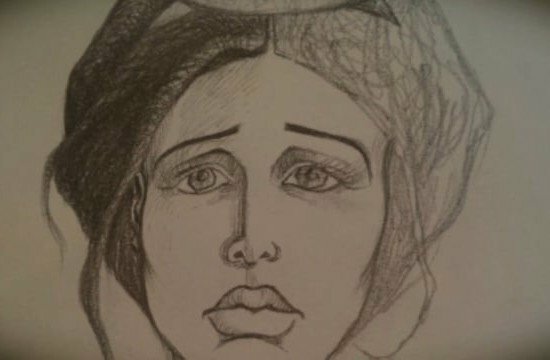 Her wide vocal range and unique versatility allow her to interpret soprano and coloratura mezzo repertoires, with a growing inclination for en travesti roles. 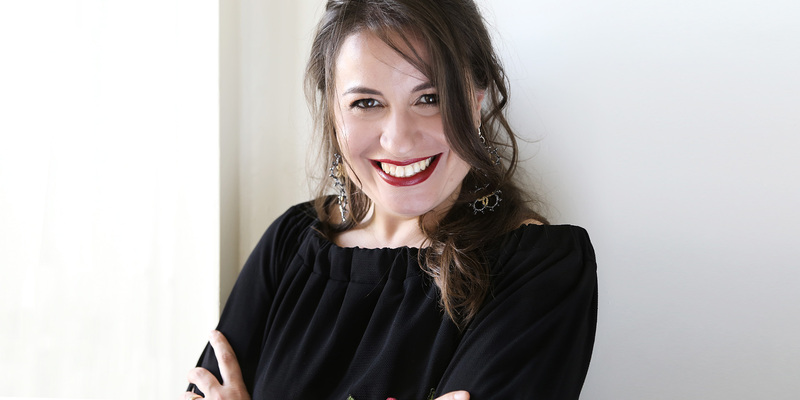 Francesca won the International Solo Voice Competition Seghizzi (2007) in the Category “George Gershwin” and graduated from musical institutions from Italy, UK, USA. 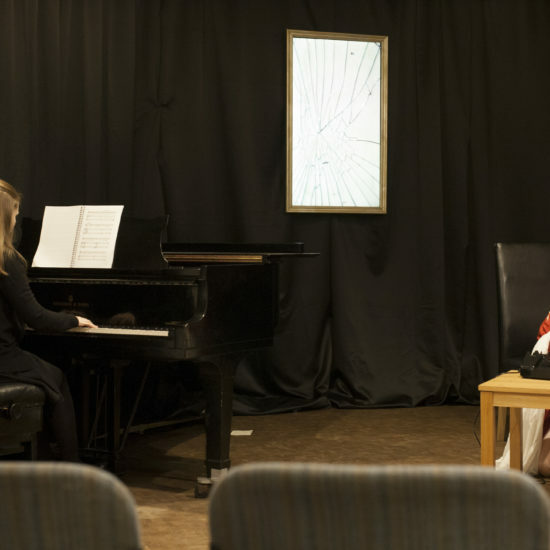 She has performed extensively as a soloist in Europe, Canada, USA. 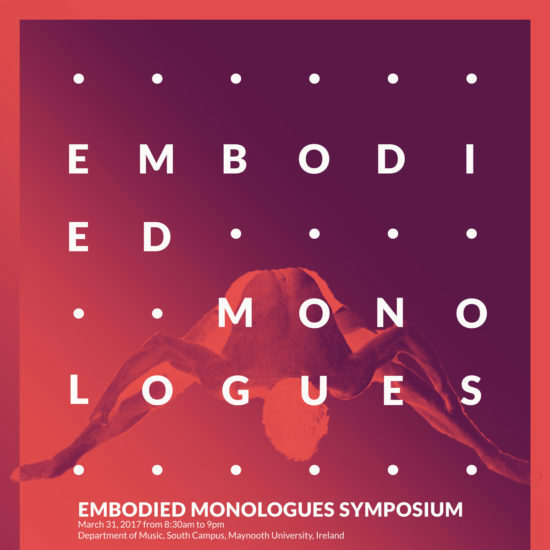 A PhD from University of Southampton and a book author, she is currently an artistic research fellow at National University of Ireland Maynooth, where she is performer, artistic director and project-leader of her “En-gendering Monodrama: Artistic Research and Experimental Production”. 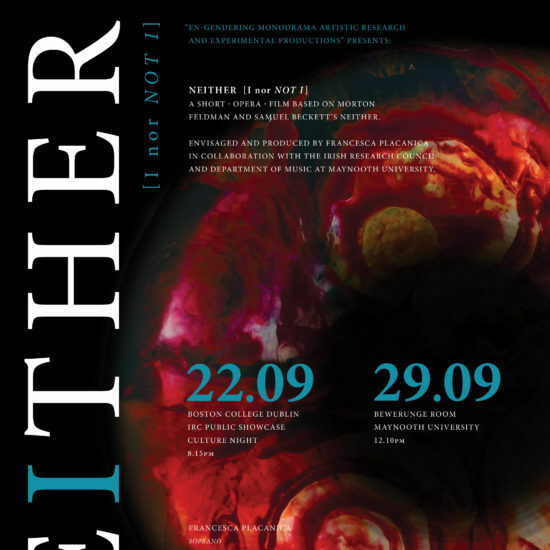 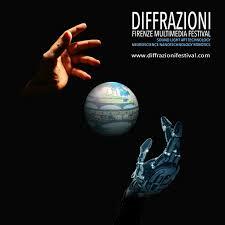 Screening of Neither (I nor Not I) for Diffrazioni Festival, Florence.